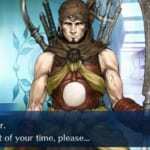 This article contains the stats, strategy, and guide for Lancer - Musahibou Benkei. We will update this as soon as the game comes out. 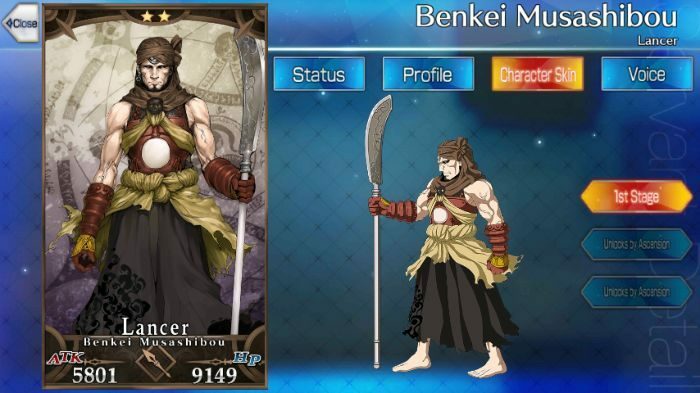 This article contains the skills, stats, growth, and ability of Musashibou Benkei of the Lancer class from Fate Grand Order [FGO]. Musashibou is a 2-star Servant with an unusually high HP. Coupled with his skill Unyielding Stance, Musashibou serves as a good tank or shield for the rest of the party. Depite this, it is important to always watch his HP and heal whenever it gets dangerously low. He also has some good options for stalling, though is not really reliable on that end. 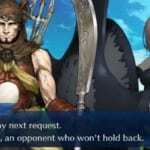 Without better options, Musashibou can serve to stall and guard the rest of the party when you go up against Gawain or Mordred later in the Main Quests since the bosses will be able to use their powerful NPs very often. Musashibou has a decent NP, but still relies heavily on chance to gain favorable conditions when he uses it. His usefulness in battle (at least on the offensive end) is therefore rather luck-based, as they only have a chance to apply their specific effects. Kotarou Fuuma works well with Musashibou by using the former’s Ninjustsu A+++ skill. Coupled with Musashibou’s Revenant Suppression or Blank Subscription list, it gives you better chances of avoiding all incoming attacks for the next turn. Emiya (Assassin) will allow you to use Musashibou as your primary “shield” to protect the rest of the party by using his Scapegoat C skill. The Dragon’s Meridian CE allows you to speed up Musashibou’s NP gain, allowing you to stun enemies before they can deal significant damage to your party. 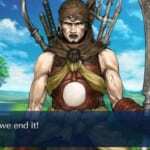 To benefit from Musashibou being defeated in your party, you could equip him with Battle of Camlann as well. Since Musashibou will last long on the battlefield, his defeat might provide the timely boost to your party to perform NPs. To bolster Musashibou’s survivability even more, you can use Iron-Willed Training to increase his defense by 15 % or 20%. Magic Resistance C+ Increases own resistance to debuffs by 15.5%. If you’re looking for Musashibou Benkei’s Interlude Quest, click here. Revenant Suppression A 1 7 Chance to prevent one enemy from using skills for 1 turn. Blank Subscription List – 1 10 Chance to prevent all enemies from using their NP for 1 turn. Chance to stun all enemies for 1 turn. Musashibou Benkei worked alongside Minamoto no Yoshitsune. A warrior monk, he wielded his halberd with such strength and precision that not many were able to match him. In the modern days, his legend lives on through the kabuki and their plays in theatres. However, this servant bears the name of Musashibou Benkei in hopes of spreading his legend. His true name is Hitachibou Kaison. Despite being Minamoto no Yoshitsune’s retainers, he fled in fear of dying. Deeply ashamed, Kaison bears the name of Minamoto Benkei in hopes of spreading the legend and tales of Yoshitsune and Benkei. He says, for as long as he has a mouth, the tale shall continue.